Two hospital physiotherapists will be going for gold next year as they compete for Great Britain in their age groups in international triathlon. Kerry Archer, Clinical Lead Physiotherapist working at the Queen’s Centre for Oncology and Haematology, has qualified to represent the country at the European Triathlon Championships in Dusseldorf, Germany, next June. As well as working full time with Hull University Teaching Hospitals NHS Trust to support people with cancer, Kerry is also a member of York Triathlon Club and trains five to six days per week. She qualified for the European Championships last month, having finished fourth in her age group in a sprint distance triathlon qualifier in Strathclyde (750m swim, 20km cycle and 5km run). “Over the years, I have taken part in many different sports, but it was my brother who inspired me to take up triathlon about four years ago. I completed my first triathlon in Driffield and haven’t really looked back. Meanwhile, Becky Mason (pictured above), a Physiotherapist who is currently working within the Plastics Outpatient Department at Castle Hill Hospital in Cottingham, will also don the Team GB colours in 2017. 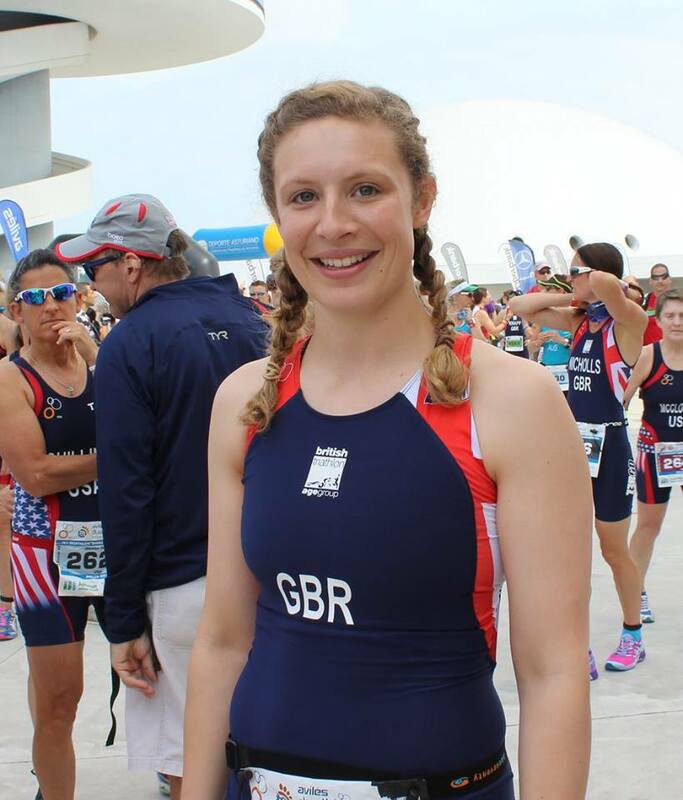 But Becky has already had a taste of what it’s like to represent her country this year, when she competed in the European Duathlon Championships in Spain. This race involved a 10km run, followed by a 40km cycle ride, then a further 5km run, and Becky finished an impressive eighth in her age group overall. “I have always been fairly fit and healthy, and I did a couple of triathlons whilst I was at university. Once I qualified as a physiotherapist and moved to a new area, however, I found it more difficult to fit training in around my new job. “I had been working at the hospital for about two and a half years when a friend asked me to take part in the Castle Howard triathlon last summer, and I was the second female to finish. This made me decide to get back into training, and I’ve been training with Humber Triathletes since November. Becky has already qualified to represent Team GB in the European Duathlon Championships in 2017, and is in a reserve position to compete in the European Triathlon Championships in 2017 at Sprint distance, alongside Kerry. Kerry is also looking to join Becky in the line-up for next year’s Duathlon Championships when she competes in a qualifying race in October.